GET FOCUSED AND GET MOVING! Has uncertainty ever entered into your heart and almost caused you to look up into Heaven and scream WHY? I will answer “YES!” Circumstances, physical pain, emotional pain, distractions, you name it, caused me to take my eyes away from my Lord and Savior, Jesus Christ only briefly. What was the lesson I needed to learn? STAY FOCUSED ON WHAT THE HOLY SPIRIT IS TEACHING YOU. The Lord wants us to be courageous and strong. The Lord will be with us so we will not have to go through trials alone. The Lord REMINDED Joshua about the land he had been given. 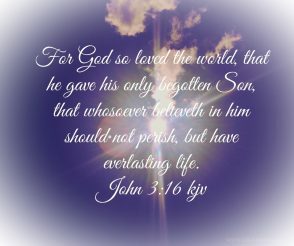 The Lord reminds us about things He has done for us so we do not forget. The Lord will continue to remind us. Above all, it is the Lord who will give us rest! 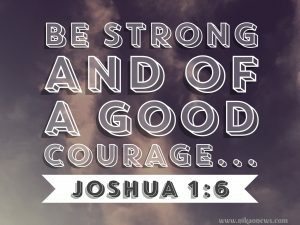 The Lord spoke to Joshua four times about courage and being strong. Five times the Lord reminded Joshua about the land He had given to him and twice about the rest that was given. Twice the Lord reminded Joshua He would be with him. I think about how much the Lord loves us. We are all different and yet He knows our name. My heart breaks when I see people hating each other because of skin color, or gender, or you name it. What is the purpose of destroying lives or property? What is the purpose of chasing people out of a restaurant because of politics? There is an answer. His name is Jesus! For those who are looking for answers, I suggest opening your Bible if you have one. The answers you are looking for will be found throughout the pages. Get into a good church that teaches from the Bible and not from the newspaper or television. YOU get busy spreading the Gospel of Jesus Christ. What is the Gospel? It is the Good News of Jesus Christ! If you need a starting point send an email to the email address below, along with your name and mailing address. I will send a few things to help you get started in declaring the Gospel of Jesus Christ. What lesson did I learn? Stay focused! Continue to do what God has called me to do. Continue to spread the Gospel of Jesus Christ.